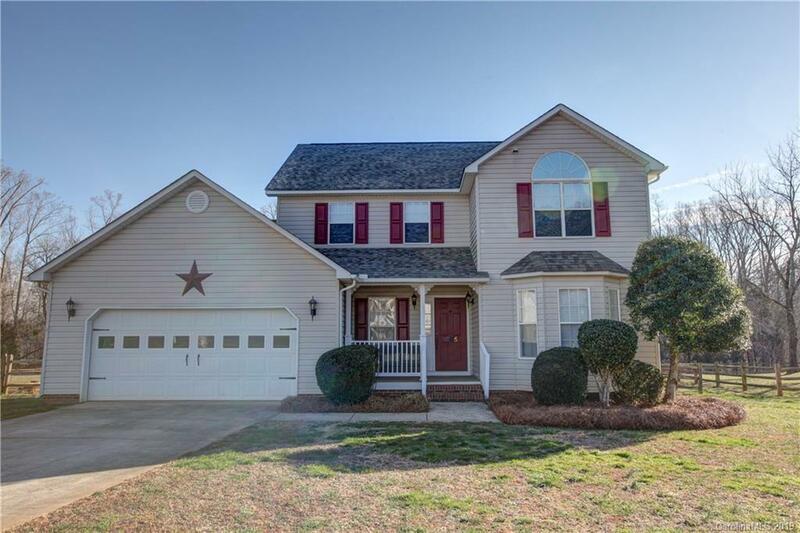 1065 Wentwood Lane Salisbury, NC. | MLS# 3467249 | Provident Living (704) 609-5362 - Jean Griswold - Your Trusted Real Estate Advisor - Call Jean for all of your real estate needs. USDA eligible property with Salisbury address; China Grove location – in desirable Carson HS district! Swim community includes clubhouse, pool, playground, and walking trails! Move-in ready home on large ¾ acre cul-de-sac lot in country setting. Fenced back yard with storage shed. Front room could be formal living room or formal dining room. Kitchen with breakfast nook and bay window overlooking back yard. Family room with gas-log fireplace; opens onto back deck. Owners’ suite on upper level; along with two spacious secondary bedrooms and laundry room. NEW: range/oven 2017; granite countertops 2017; roof 2015; prefinished wood flooring 2015. Refrigerator, washer, dryer convey. Transferrable termite bond. One year Choice Ultimate home warranty paid by seller for buyer.